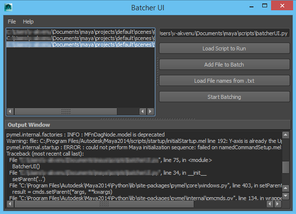 Maya allows you to Batch files by opening up the application in a windowless mode. 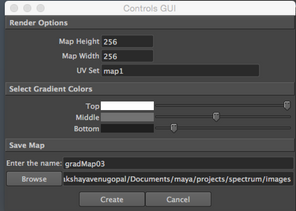 This is the basic idea behind this tool which takes advantage of this process and lets you apply a selected script on a number of files without having to open up the application and Maya scene every single time. You can the output from the batching process in the output window which also shows if any of the files failed to open or if the script was unsuccessful in running in that scene. Once you have selected the files that you want to batch through you can change the script to be run on them You can also add another file to the list or load the file list from a .txt file. Written in PyMel. The gradient creator lets you select a model and create a gradient map for it which can be applied to the Diffuse texture to create a darkening effect similar to the value gradient effect seen in DOTA 2. You simply select the model(which has already been UV mapped), set the size, name and destination folder of the texture and click on create. Depending on the size of the texture that you have chosen to create it may take upto a few minutes (especially if you chose to create a 2048 or 4096 texture). Click here to view an animated GIF. 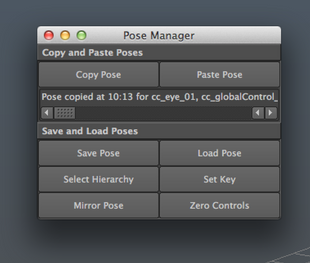 Pose Manager tool written in Python for Maya which contains some basic functionalities which help me save time. Once the user selects the pose that he wants to save, they can save it as a pose file in a folder of their choice and load it for later use. 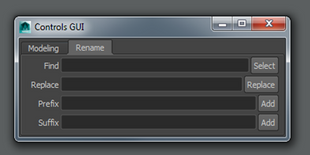 You can also copy a paste to the clipboard and then paste it on the selected controls. There is also an option to mirror the pose from one side to another. 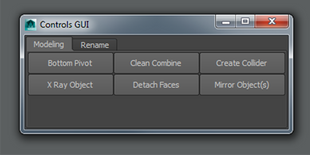 Other options include selecting the rig hierarchy, setting the key at any given time and zeroing out all the controls. Easy to use and simple tools for modelling. A collection of all the simple tools which I have learnt while exploring maya python. X Ray Object : Applies the x ray effect in maya to selected objects only. Can be toggled on or off. Detach Faces : Detaches the selected faces from the mesh as a new mesh and deletes history. Renaming Tool : Allows you to search by name or part of the name and replace the name of selected objects. You can also add a prefix or suffix to the selected object.